After many weeks of screwing around with the airbrush, I've decided that I am currently happier with the results I can achieve through my usual method of painting, so it's time to begin mass production. I'll return to the airbrush at some point, but to be honest I really enjoy painting with inks and the look suits my personal aesthetic. 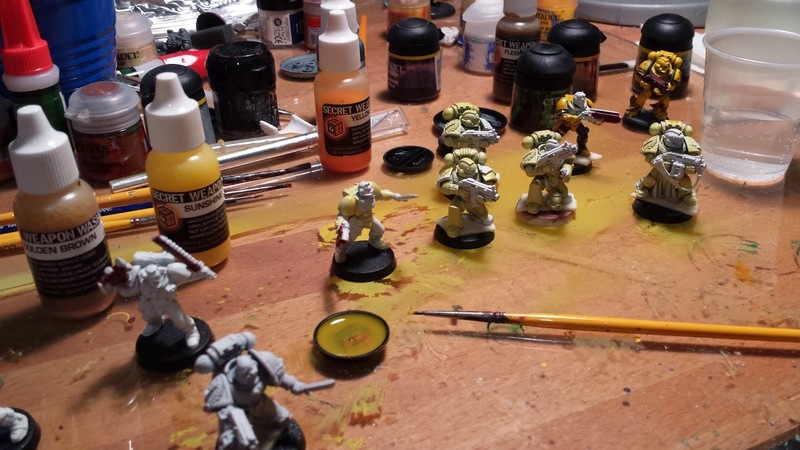 For this project I'm using Secret Weapon Minatures Sunshine, Golden Yellow, and Yellow Snow washes. I'm a huge fan of their products and I really just cannot say enough good things about them in general.